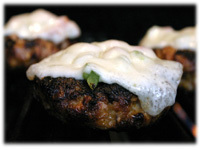 Imagine, all the robust and hearty flavors everyone loves about Italian cuisine is brought together in this spicy grilled hamburger recipe. 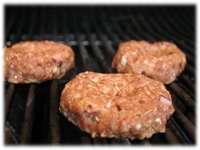 One of the nice things about using 100% ground pork for a grilled hamburger is it can't possibly dry out. This hamburger stays juicy right to the bun. 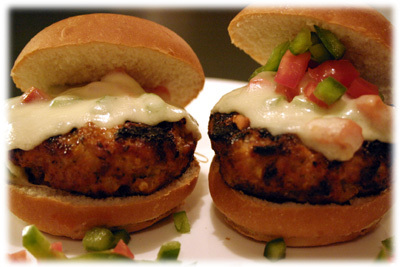 And let your imagination run wild when it comes to what toppings to use and your choice of buns. You can always use regular hamburger buns but why not try something more interesting, like toasted garlic, cheese and onion buns? Try diced Roma tomatoes and green peppers and put them on the burger just before the mozzarella cheese while they're still on the grill, this turns out very well. Tip: If you want to save even more time, use 6 slices of microwaveable precooked bacon. Takes about a minute in the microwave and tastes great in this recipe. 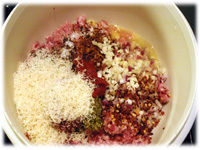 In a large mixing bowl add all the recipe ingredients and combine well. 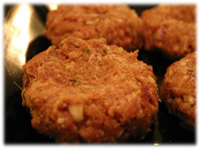 Use about 1/2 cup mixture to lightly form hamburger patties. 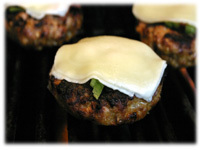 Don't overwork the patties and make a slight indent in the top of each patty to allow for outward expansion while being grilled. 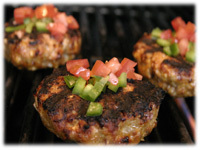 Cover the patties with plastic wrap and place in the refrigerator for at least an hour before grilling. Clean and oil the grates of the BBQ and preheat to 500F. 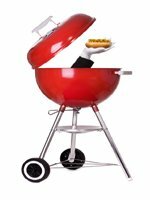 When the grill reaches temperature remove the hamburgers from the refrigerator and place on the hot grates. 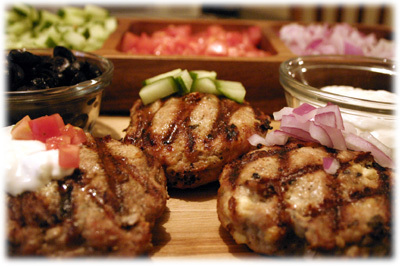 Burgers should be cooked while the patties are cold to ensure they keep their shape during the initial stages of grilling. When cold, the fat takes longer to render and the hamburger stays juicier longer. After 7 - 8 minutes the burgers will be ready to flip. 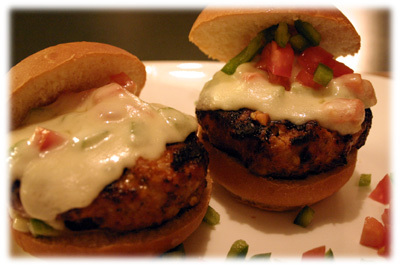 After their flipped place a small amount of diced tomato and green pepper on each burger. Fold a piece of mozzarella cheese in half and place over the tomato and green pepper. After another 6 - 7 minutes the burgers should be cooked. Check with an instant read thermometer, if 160F internal temperature then remove. 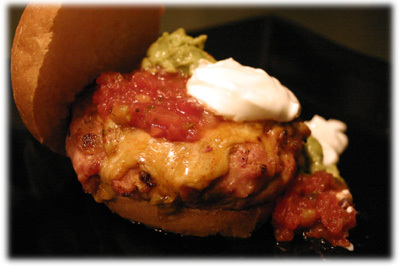 Place the grilled burgers on a serving plate and serve with the toppings and buns of your choice.